Let’s say you forgot that handy-dandy fish scaler you bought at the tackle store. No need to worry. In a pinch, a sturdy tablespoon can be used to remove scales from bream and other panfish when you want to pan-dress your catch. Simple pointers like these can be invaluable when you need them. You’ll find plenty more to try in this collection of problem-solvers. Sometimes crappie and other panfish are more easily caught if you tip your jigs with live minnows. But what if your minnow supply runs low? In a pinch, you can extend your bait by cutting a single minnow into several small pieces you can add to the hook one at a time to produce scent that draws more bites. As we age, eyesight problems can make it more difficult to thread fishing line through the eyes of hooks and lures. If you keep an old-fashioned sewing-needle threader on hand, though, you can use it in a pinch to quickly and easily run the line through so you can tie it. In a pinch, the credit-card shaped letter openers available at many office supply stores are great for cutting fishing line, even braids, and fit inside a shirt pocket. In a pinch, you can make a superb catfish bait by picking up some cheap hot dogs, minced garlic and unsweetened strawberry Kool-Aid at the grocery. Cut the frankfurters into bite-size pieces, then add to a zip-seal plastic bag with three heaping tablespoons of minced garlic, the package of Kool-Aid and enough water to half fill the bag. Allow to marinate overnight, and you have a bait eating-size catfish can’t resist. A little cod liver oil can replace commercial fishing scent products if you find yourself in a pinch. Fill an empty nasal-spray bottle with plain cod liver oil. Squeeze a drop of oil to the tip of the bottle, rub your lure in it and you’re ready to fish. This works especially well with marabou and bucktail jigs, and sometimes means the difference between lots of bites or none. If your boat springs a small leak in the backcountry, you may be able to stop water from seeping in by plugging the hole with some pine pitch. Pitch is waterproof and sticky, making it perfect for use in a pinch. Rain threatening to ruin your day outdoors? If you forgot your rain slicker, you can quickly improvise one in a pinch by cutting a head hole and arm holes in a plastic garbage bag. Wondering what the temperature is but don’t have a thermometer? In a pinch, you can count the number of chirps a cricket makes in one minute, then add 40. The sum will be very close to the outside temperature. Caught a bad case of poison ivy rash while hiking to your favorite backcountry fishing camp? The wide-ranging jewelweed plant can help in a pinch if you learn to identify the plant’s distinctive leaves and orange flowers. Rub the affected area with juice from the jewelweed’s leaves or stems, and let dry. Or boil cut-up jewelweed and swab the blisters with the resulting orange decoction, a treatment as effective as cortisone cream. Lost a screw in your sunglasses or prescription eyeglasses? 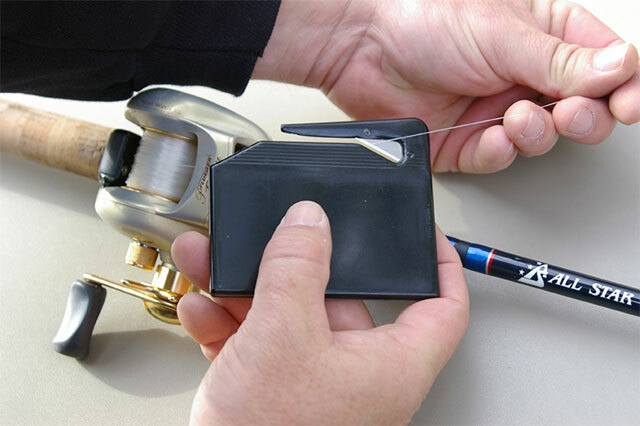 In a pinch, you can use braided fishing line or dental floss threaded multiple times through the hole to replace the missing part. So, you forgot our alarm clock and are worried you won’t awaken in time for that early morning bite? Try doing what outdoorsmen did before alarms were readily available. To be sure they awoke at an early hour, they would drink a good draught of water before retiring and let nature wake them. If they wanted to rise even earlier, they would drink even more. Problem solved. In a pinch, you can make your own chum block to attract king mackerel and other saltwater predators by mixing some dry and moist fish-flavored cat food with dry oats and menhaden oil. Combine in a medium plastic container and freeze until hard. Hang the frozen chum block from a boat cleat so it stays just below the water's surface. Wave action washes away melting chum bits to form a visible and odoriferous trail. You can make your own boat anchor in a pinch using a 2- to 3-foot piece of an old tire inner tube. Tie off one end with a piece of wire or nylon cord. After adding rocks or sand, tie the top off with another piece of wire or cord wrapped tightly around the bunched mouth. Attach the weighted bag to your anchor line and it’s ready to use. Money’s tight and you need a new travel case for your rods? Use a length of 4-inch-diameter PVC pipe to make your own inexpensive version in a pinch. Cut the pipe about two inches longer than your longest rod. Use PVC glue to secure an end cap on one end after cutting a piece of foam packing material to fit inside the cap. You need a cap for the other end as well, with a piece of foam fit inside it, too. Slide your rods in the tube, place the loose cap on, then tape securely with duct tape. Your rods should now travel safely to your destination. Your fishing partner called to say he won’t be making it today, so you’ll have to launch your boat alone. In a pinch, you can tie the craft to your trailer (around the winch works well) with about 10-20 feet of rope. Back up until the boat starts to float, and tap the truck brakes. Drive forward a few feet. The boat should now float off the trailer, but not away. Untie it and walk it back to the shore or dock. This way you can launch fast and stay dry. In a pinch, a drop of Super Glue at the top of the hook shank will keep plastic worms and lizards from peeling back off the shank, even in the densest cover. Can’t find the leak in your waders? In a pinch, try putting an electric light bulb on a drop cord inside the waders, and turning off all lights in the room. The light inside the waders will glow through worn or broken fabric, and you can easily mark the spots for patching. You can fasten an ordinary office clipboard to your cleaning table to make the job of dressing panfish much easier. In a pinch, the clip will hold the tail or head firmly while you scale or fillet your catch.